Also known as desktop fabrication or additive fabrication, it is now gaining popularity. A digital 3d model is created via software, saved in STL format, then sent to a 3D printer that prints the design layer by layer until it forms a tangible object. Many people are starting to use and be entranced with 3D printing wave. With this, many 3D Printer Software kits are available in the market that helps a beginner. It is 2014, though, software like SketchUp, 3Dtin, Blender, OpenSCAD, and Tinkercad still remain to be the choices of beginners. People hear about computer aided designs (CAD), and it is still a term to reckon with this 2014. More 3D printing software options are available. SketchUp – Another trusted and easy to use software for 3d printing. There is a SketchUp Pro 2014 version that so far has been getting good reviews. It is fast, quite easy to learn and use. Blender 2.69 – Although it was released last year, this is still a software to watch out for. With new features and enhancements like plane tracker, hair shader, etc. About 270 bugs had been fixed, as well. Autodesk Maya 2014 – Streamlined from its well-loved predecessor, Maya 2014 had been recently released with a number of enhancements and digital additions creating better 3d models. 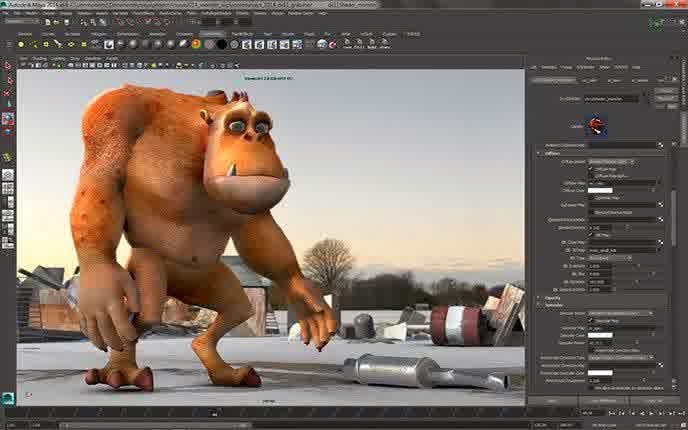 Autodesk had also recently announced the free trial release of Maya 2015. Geomagic – A sophisticated 3D software integrated system used for engineering, design, inspection and 3D Modeling. These are just some of the names to look out for this year. Some had been in the market, but new versions and releases have been recently deployed. These specialized software enable 3D printers to create three dimensional images. It is understandable that you might be using different software depending on the need, but which way the model is created; the file needs to be saved on an STL format so the 3D printer would be able to print it. It is a matter of language that the printer understands. 3D modeling, no matter how sophisticated your software is or how simple the design is, there are hardware that are used for modeling in terms of interface and output. For the interface, a 3 button mouse is usually the best to use. Some also use pen and touch tablets. Once you have found the best 3D printing software that would suit your needs (and abilities), learn it then use it! Choosing the best 3D printing software could mean the success of the project, so make sure you make the best decision. Get ready for the future! For more 3D printing software information, you can visit websites that list helpful 3D Printer Software , or visit forums that discuss the topic to hear reviews and comments from the users. Checking out the developer’s website is also a great idea.